How about some Donna Karan macaroons? Sure, fashion week's in full swing in New York at the moment, but you don't have to have a front row seat to enjoy some of the perks. Take these sweet treats, for example. 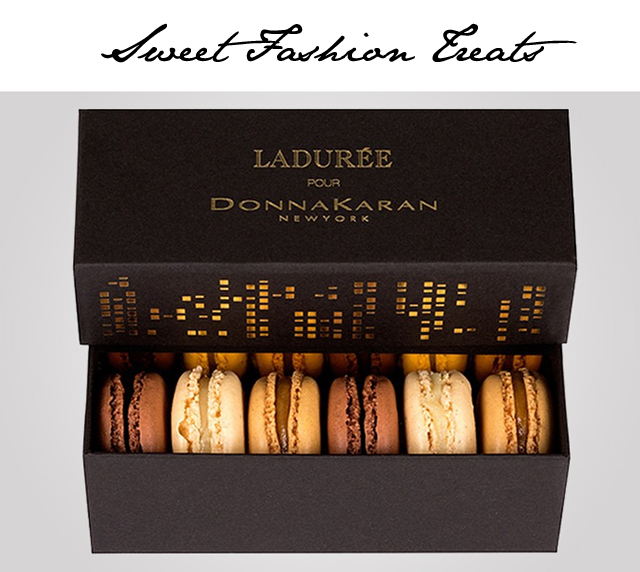 To celebrate their 30th anniversary, Donna Karan teamed up with Laduree to create a special box of macaroons. Inspired by the current collection, the Laduree macaroons are just as sweet, lush and beautiful as every neutral coloured piece Donna's showcasing this season. Dark Chocolate, Vanilla and Caramel flavors are all just waiting to be discovered. Sorry, I need to take a moment as I'm drooling all over the keyboard. Stop in any Laduree location in New York to pick up a box now.